The Telangana BJP raised a sensational piece of news by revealing the fact that many of AP Settlers who have their votes in Telangana gone missing. The Saffron party surfaced this news all by itself after their official complaint to the Election Commission regarding the missing of votes. In their claim, BJP stated that 20 lakhs votes of AP settlers gone missing for this time polls. It accused the ruling party TRS behind this issue as it is intentionally sidetracking the AP votes with a mission. 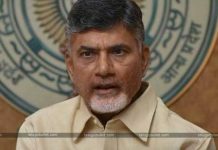 The T-BJP leaders explain that these twenty lakh votes will be bagged by either TDP or BJP so TRS cleverly manipulated in the voter’s list this time to avoid additional advantage to its rival parties. One has to wait and see how EC responds to this issue. 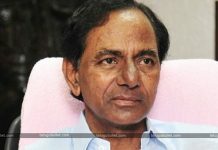 If it adds back the removed twenty lakhs of voters, then it will be a blow to the ruling party TRS.KCR tried his best to impress the AP Settlers with his unique offers but failed to woo them. These voters decided to go against the Pink party for causing the bifurcation of AP.